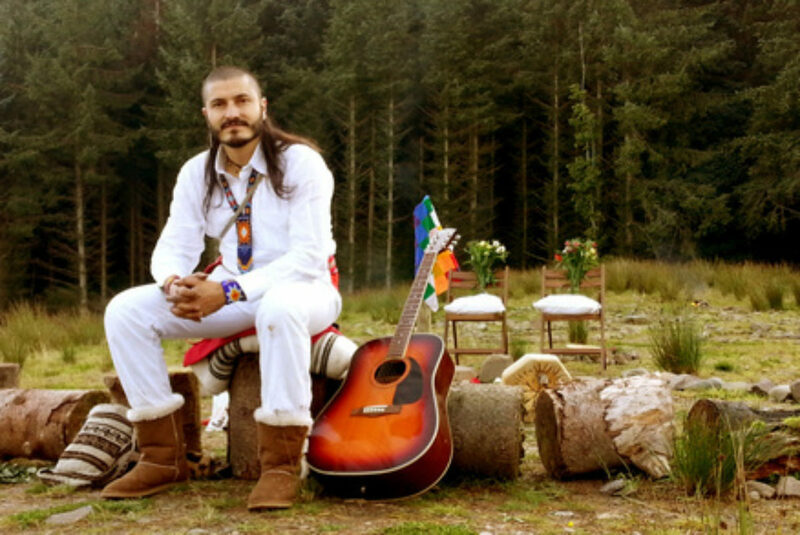 Anthar Kharana is a Medicine Man, Musician and renowned International Sound Healer native from Colombia. He comes from a long linage of musicians in his family and is also a guardian of traditions and medicines of the Americas. Wise Elders guided him from his Homeland from an early age, carrying their words alongside his work worldwide. As a Sundancer and Chanupa (Sacred Pipe) Carrier, (traditions of the North of the Americas) Anthar is one of the Sons of the alliance of the Eagle and Condor Nation, a New Nation united by the agreement of the Elders of the North and South America to become One. He is been travelling to Europe for 13 Years sharing different wisdom and lighting the fires in the hearts of people through workshops, concerts, ceremonies, therapies and retreats. He is the Director of TRIBAL SOUND HEALING in the UK and Colombia and recently he has co-created the first school of sound healing in Scotland ANSU School of Sound & Tribal Healing Arts.